After an early morning gym session I was unusually craving something super healthy for brunch, so I decided to pay Nettle Raw Cafe a visit. This cafe prides itself on being all about serving modern, vegan, raw dishes which contain organic plant-based whole foods in their natural state. Nettle Raw Cafe is on Rosetta Street in West Croydon, just down the road from Krispy Kreme which is pretty much the polar opposite to this little gem. This cafe is so beautifully decorated and has a wonderful homely feel. I love the art work, magazine collection and 1970s themed decor. The green couch in particular is my favourite. The staff are also super friendly and help to give this cafe a welcoming and relaxed atmosphere. The menu has many breakfast and lunch options as well as smoothies and juices. 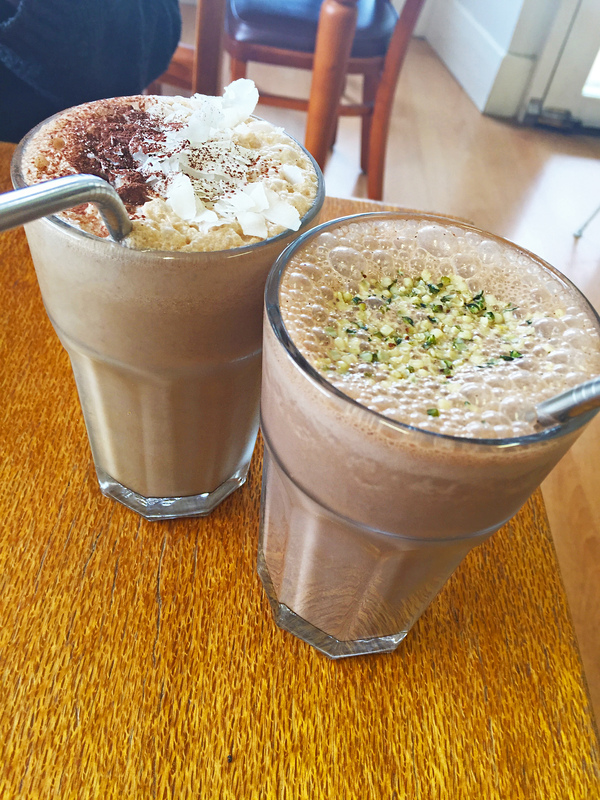 My friend ordered the Spicy Chai Coconut smoothie which was the perfect blend of spices, banana and chocolate flavour. I had the Hemp protein smoothie as I was interested to see how this would taste since Hemp is derived from the Marijuana plant. This smoothie was so delicious and tasted of almond milk, banana and cacao. For $8.50 they were a little on the pricey side but very much worth the money in my opinion. My friend ordered the Raw Mushroom Benedict which was a raw marinated mushroom with homemade sunflower bread and raw hollandaise sauce. There was a little problem however; my friend had not realised it contained nuts which she is allergic to. The cook was so great about this though and very kindly made her a whole new dish without nuts. Now that’s what I call great service! Despite this hiccup the dish was throughly enjoyed and very flavoursome. 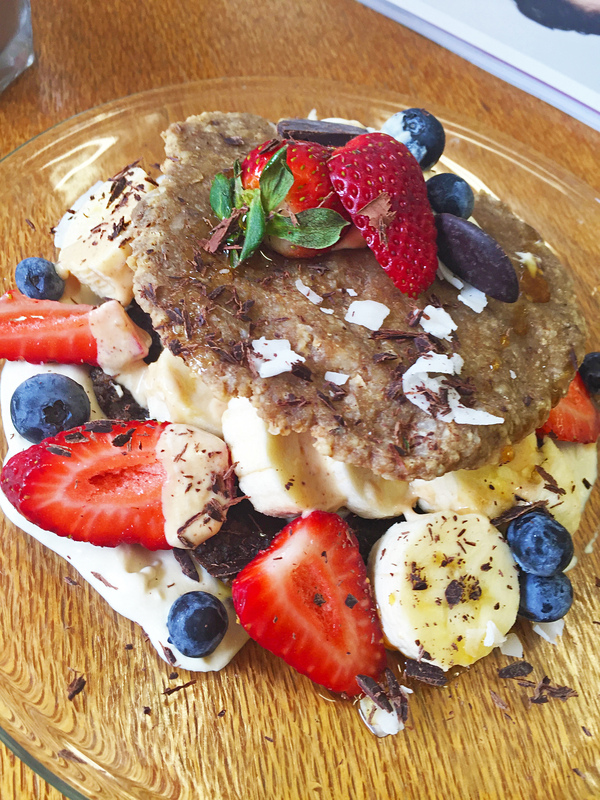 I ordered the Raw Banana Coconut Pancakes which was served with a banana vanilla cream, fruit and peanut butter sauce. 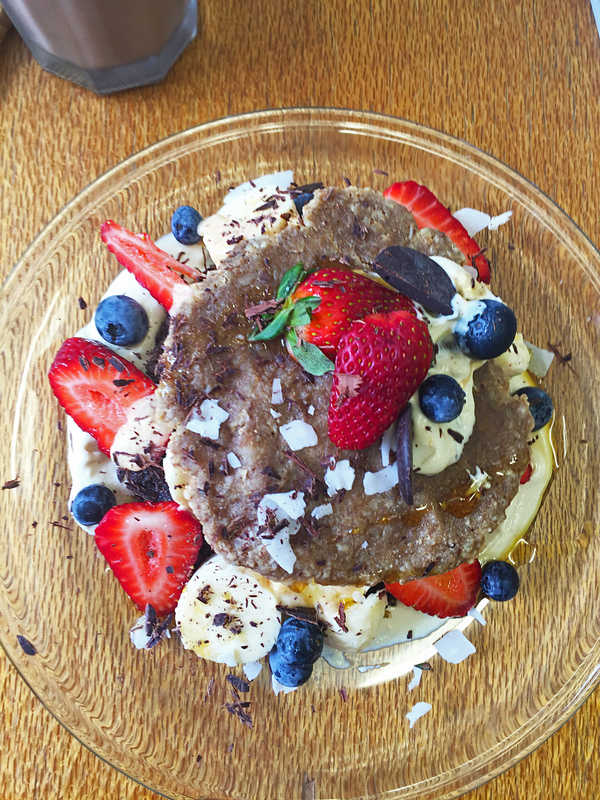 They weren’t your average pancakes but were super delicious. This was exactly the kind of light breakfast I was after and I was left feeling full and happy afterwards. For the reasonable price of $14, I was pretty impressed! 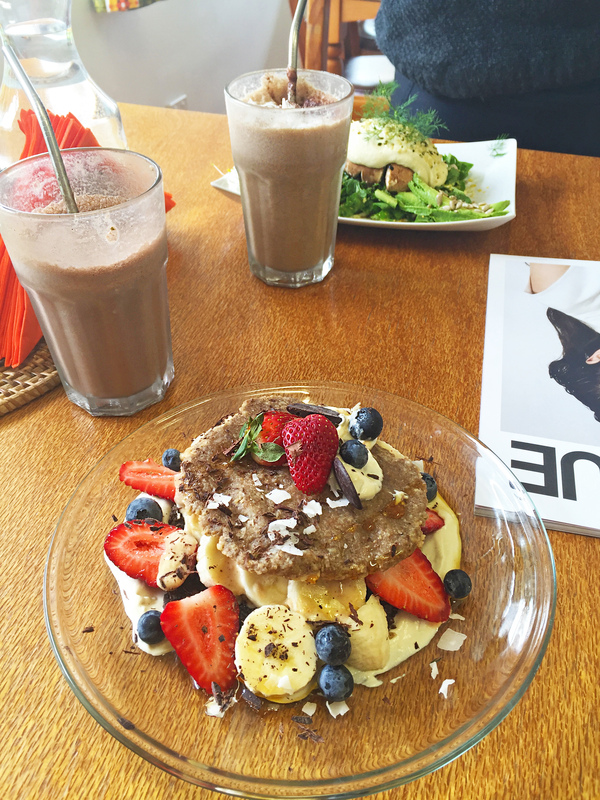 Nettle Raw Cafe is the perfect place to have delicious raw, vegan food in Adelaide. I am seeing healthy food trends pop up a lot lately but there are still not many cafes in Adelaide that specialise in 100% healthy options. Nettle Raw is a hidden gem and definitely worth a visit for those looking for healthy alternatives to their favourite dishes.